Consumers and other businesses rely on the internet for fact finding with the help of search engines to relationship building with the relevant company. Sync their sales processes with their vision and mission. All the above mentioned methods promote content to ensure web traffic gets consciously attracted to a particular website. This interest in the content uploaded will ultimately help to convert leads into customers. • Lead management: Most web visitors visit a website as an expression of interest in the first instance. Rarely do these visitors become customers in the first instance itself but they are all potential customers with chances of conversions in the very near future. Hence it becomes very important for B2B marketers to keep engaging with them and subtly but surely guide them towards becoming customers. This makes for excellent lead management by the marketers. • Constant Updation: Seeing the same content every day is sure to make a visitor stop its visit to the concerned website. Hence special care must be taken to ensure that the content uploaded is constantly and continuously updated and interesting and relevant fresh content added. These form the fundamental principles of a successful B2B marketing strategy. The tactics for the same might change but the basis remains the same. 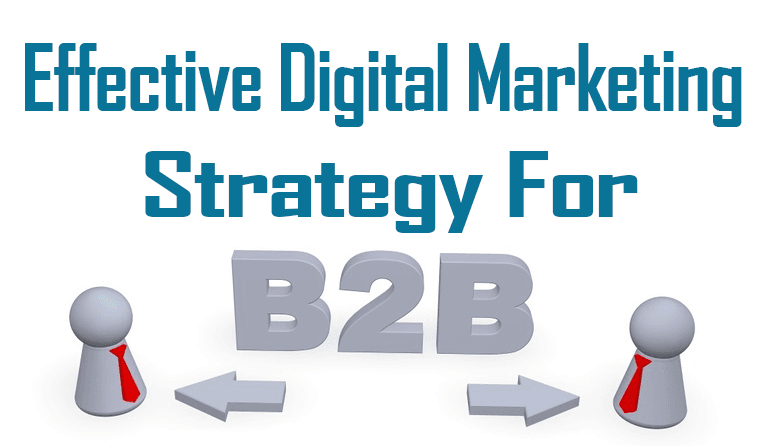 Hence B2B marketing can neither be ignored nor be given a backseat in the scheme of digital marketing and e-commerce.